Arbutus Photography Arbutus Photography the fastest growing wedding photography company in Victoria and on Vancouver Island. From their award winning website to the modern look and feel, along with many affordable options, they are an excellent choice for your big day. They also offer full and multi-day packages, as well as a wedding videographer. Photographer Victoria Photographer Victoria has been in business since 1999 and has been one of the best wedding photography companies on Vancouver Island and Victoria for over a decade. Their dedication to perfection and modern digital photography trends sets them apart. Devin Card Devin Card is an award winning wedding and portrait photographer in Victoria, BC. He also specializes in destination wedding photography to Cuba, Mexico and throughout the Caribbean. He describes the process as his vision to preserve the natural essence and beauty of each wedding, which comes through in his beautiful photography. 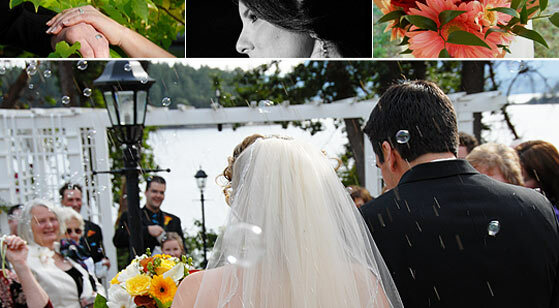 Art Studio 21 Photography, David Lowes David Lowes is a professional wedding photographer in Victoria, BC, specializing in photography of candid photojournalism and elegant formal images to create a wonderful blend of wedding photography. His services also include bridal albums, engagement portraits, canvas prints and digital wedding slideshows. John Archer Photography John Archer is a professional wedding photographer in Victoria, BC. He uses creative photographic processes to create beautiful photojournalistic and traditional wedding photos in black and white, sepia, and colour. Packages include a consultation, attendance at your rehearsal, colour and black and white photography, an engagement session, and a custom designed state-of-the-art proof album.